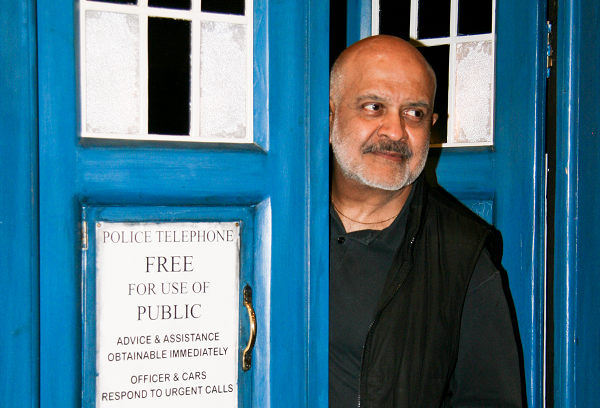 DOCTOR WHO - A Tribute To Waris Hussein | Warped Factor - Words in the Key of Geek. 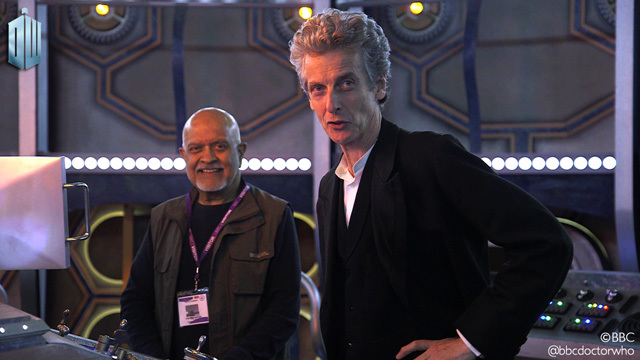 On Waris Hussein's Birthday, Christopher Morley pays tribute to the man behind the camera for Doctor Who's very first adventure. December 9th should arguably be marked on Doctor Who advent calendars as 'Waris Hussein Day', as the man who directed An Unearthly Child was born on this day in 1938. A nine year old Waris and his family arrived in England in 1946 - his father Ali having accepted a job with the Indian High Commission. But though Ali would depart for Pakistan the following year, Hussein and his siblings remained behind with their mother Attia, who would become a writer & broadcaster on the BBC's Indian Service in 1949. His early education arrived at Clifton College in Bristol, and he then went on to Cambridge to read English Literature - this was his first directorial experience, as he would do so for various plays including a production of George Bernard Shaw's 1898 work Caesar & Cleopatra. Among his contemporaries at the time were a trio of men who would go on to become theatrical Knights of the Realm - Sir Trevor Nunn, Sir Derek Jacobi, & Sir Ian McKellen. After his graduation in 1960 he followed in his mother's footsteps by joining the BBC - An Unearthly Child being one of his first directing assignments. What did he make of the job at the time? It would appear he wasn't entirely impressed! "I was a graduate from Cambridge with honours, and you're directing this piece about cavemen in skins....I thought, 'Where have I landed up in my life?'" Nonetheless this wasn't his last work on what would later become one of science fiction's hottest properties- several months on from his first steps behind the camera directing Williams Hartnell & Russell, Jacqueline Hill and Carole Ann Ford he returned to direct six of the seven episodes of Marco Polo. What did he make of the representations of Asian characters in the story? "Don't forget, in those days, we were very un-PC. Most of the actors were not Chinese. There was only one girl, Zienia Merton, who played Ping-Cho. The rest were all [white]. Today, there'd be riots in the streets. In those days, even I was reduced to - when I was doing the Kipling series - casting Caucasians as East Indians, because there weren't any East Indian actors. You had to cast whoever you could find. You used to darken up their skins, put on black wigs, and hope for the best." His small-screen work wasn't limited to Doctor Who, either! Other work for the BBC included The Indian Tales Of Rudyard Kipling (1965), Notorious Woman (1974), & Shoulder To Shoulder (also 1974) as well as Edward & Mrs Simpson for ITV four years later. "I have to give them full marks for taking me on. At this time the place was dominated by testosterone. Men walking around in double-breasted blazers, old school ties. Men were men and women were secretaries." "He was a consummate professional, and considered himself to be somebody very worthwhile. We had to respect that. 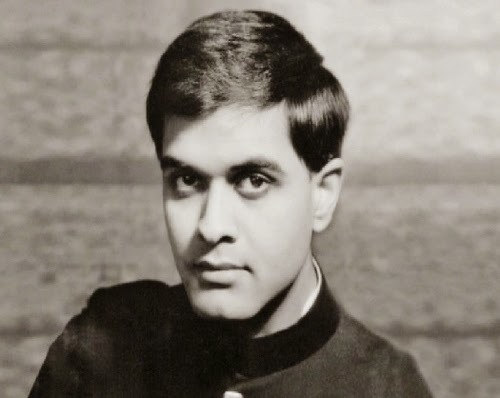 He was very nervous about us – a female producer, an Indian director and a Canadian head of drama. We had to nurture him, in a funny way, and give him his leeway. But in the end, he came to respect us." "I would like to go back, yes. But in the eyes of the current production team, I should be in retirement in Bournemouth in a wheelchair with a blanket on my lap. They don’t see that I’ve got all my faculties and my creative juices." 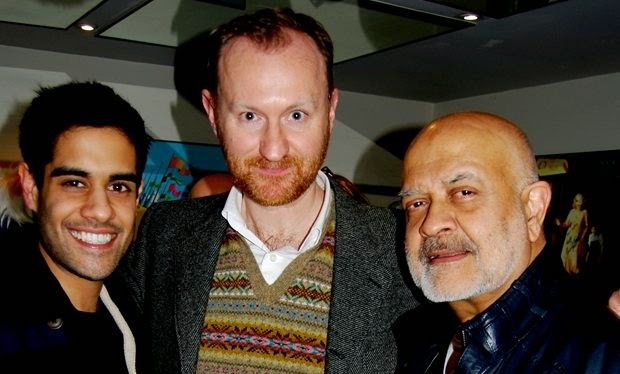 Sacha Dhawan portrayed him in Mark Gatiss's An Adventure In Space And Time, the man himself invited to watch part of the filming process. And it seems he found the whole thing rather strange! "I watched Sacha do his scene where he met Verity [played by Jessica Raine] in the BBC bar. I'm not one of those people who get weepy or emotional, but it was what I describe as a surreal experience." "A ramshackle studio, Studio D at Lime Grove, cameras that were taller than the camera men who were shoving them around, cables everywhere-and we had to continue shooting with four cameras, with no breaks. No slick camerawork here. Sets that were just about put together with the money we had. So you had a hexagonal set for the TARDIS interior, made up of four flats and a hexagonal [control] panel with, I think two buttons and a few lights blinking. And that was what we had to work with." But out of that came something rather magical, some of the most imaginative telly of the Sixties! Not bad at all for "a kid who'd been thrown into the lion's den."